September 13, 2018 (Portland Tribune)—Justice Rives Kistler, who became the first openly LGBT state supreme court justice in the nation when he was appointed in 2003, will retire from the Oregon Supreme Court on December 31. Kistler announced his retirement Monday, September 10, in a letter to Governor Kate Brown. When Kistler was appointed to the state’s highest court by then Governor Ted Kulongoski, he had been a justice on the state appellate court for four years. 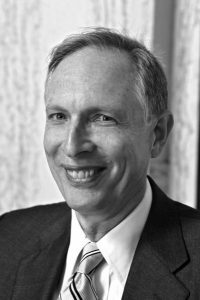 Before his judicial service, Kistler clerked for former U.S. Supreme Court Justice Lewis Powell, worked in private practice in Portland and served as an Oregon assistant attorney general specializing in appellate cases. He is a former vice-chairman of the Oregon Board of Bar Examiners and served on national work groups on criminal law, federalism and free speech. Kistler, 69, of Portland, plans to serve as a senior judge after his retirement. Brown will appoint Kistler’s replacement. The deadline to apply for the appointment is October 1, and the appointee will be expected to begin service on January 1, 2019.